Fraser Commercial Trust(“FCT”) bounced back strongly this week with news that Google is on an expansion drive in Singapore and in talks with Fraser Commercial Trust for 400,000sqft of space at Alexandra Technopark. Its unit price which used to hover around S$1.36 to S$1.40 for the past 2 months shot up yesterday and even hit S$1.48 at its highest point for the week. It eventually closed off at S$1.45 as at 18 Jan 2019, Friday. Alexandra Technopark is a high tech business space campus located at the prominent Alexandra business corridor. A $$45Mil asset enhancement initiative was announced on 23 January 2017 and is currently nearing full completion. It aimed to transform and reposition Alexandra Technopark into a contemporary, vibrant, and engaging business campus. 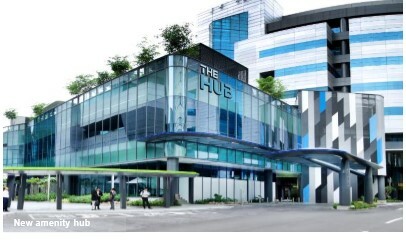 A new 13,300sqft amenity hub has been added, which provides seamless connectivity to the two business space blocks and houses a wide array of food and beverage, social and other amenities. Its current occupancy rate is around 68.6%. If Google were to really take up the 400,000sqft, this will drive occupancy rate to more than 90%. Market analysts have been suggesting the rental cost will be S$4 per sqft. This will mean S$1.6Mil per month or S$19.2 Mil per annum of rental income contribution. As we can see, the results show a deterioration mainly due to the divestment of 55 Market Street as well as the AEI work for Alexandra Technopark and also China Square Retail podium. If FCT managed to sign up Google, its earnings will get boost up and support the unit price. Note that FCT equity accounts for the UK Farnborough Business Park on a 50% stake basis. The current Brexit crisis might have some detrimental impact on the rental income but not expected to be significant due to the high-quality tenants and long WALE of 7.3 years at the UK Business Park. With a healthy gearing of 28.4%, FCT will be able to tap on the opportunity to acquire new assets that are yield accretive following the divestment of 55 Market Street property last year. The completion of the AEI on Alexandra Technopark and China Square Retail Podium in this year should also further strengthen the REIT for long term growth.